From the River Shannon ferry. 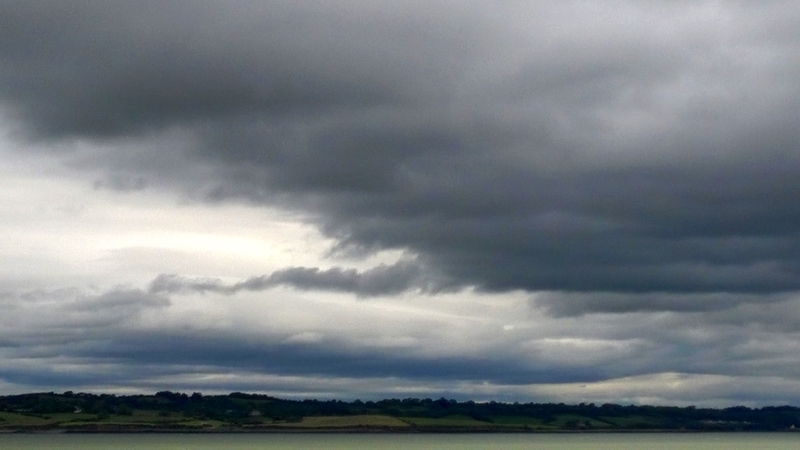 I was watching the northern shore of the River Shannon fade into the distance as we crossed on the ferry when I noticed this interesting cloud formation. To my eyes it looked like nothing more than a dragon out of a medieval tale, blanketing the world in with his dark cloud wings. Do you see him? Or do you see something else? I love dragon spotting. 🙂 When my family was driving around the U.S. one year, we found a lot of them gliding over Hopi reservations and Zion National Park. Great shot!